Ministers’ plans for more rail passengers to receive compensation for delays of 15 minutes have themselves been delayed by disagreements over who pays for them. Where existing franchise agreements do not include Delay Repay or, as in the case of Greater Anglia, have a 30 minute threshold, train operating companies are not obliged to pay compensation after delays of 15 minutes. Although this implies Greater Anglia is seeking a quid pro quo, the spokesperson declined to comment on whether the contractual discussions involved the firm seeking cash from the Department for Transport (DfT) to fund the improved compensation and referred the issue to the department. The DfT told Transport Network its focus is on the affordability, value for money and deliverability of the scheme, again implying that the issue in question is how increased compensation would be funded. 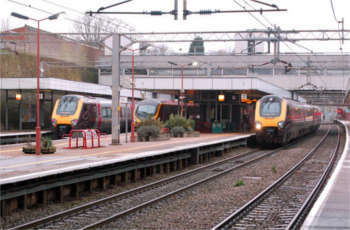 During the debate, Mr Jones pointed out that the Government had introduced Delay Repay for 15 minutes on a number of franchises, beginning with the Govia Thameslink franchise in 2016, and that it will be requirement for all other rail franchises when contracts come up for renewal, ‘so it will become a regular feature of what our rail service looks like up and down the country’. He also pointed out that ‘about 70% of the delays on our rail network are caused by works by Network Rail rather than by the train operating companies’. Data from the rail infrastructure operator shows that it paid Greater Anglia a total of £15m compensation for planned and unplanned disruption in 2016/17 , with the TOC paying out £4.5m in compensation to passengers in that year.